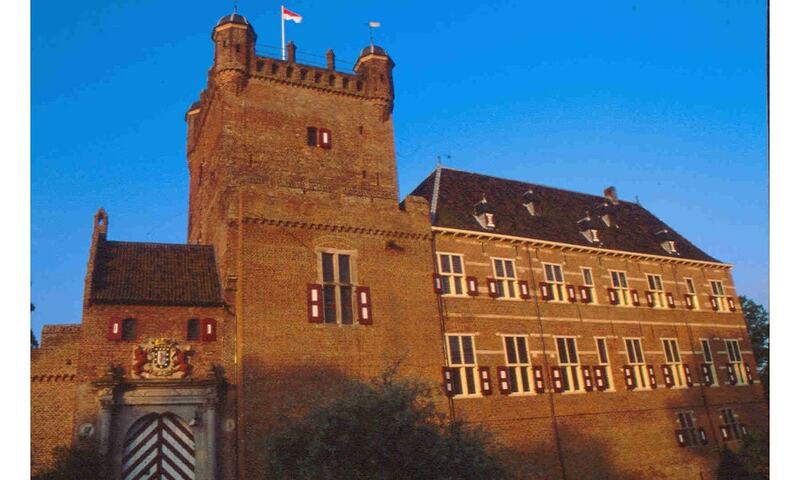 Huis Bergh is one of the largest castles in the Netherlands. It gives its name to the Land van den Bergh and was previously owned by the counts van Bergh. Huis Bergh contains a collection of early Italian paintings, one famous example of which is a panel from the Maesta of Duccio, which was added to the castle's collection in the 19th century. In addition to a portrait of Erasmus by Holbein Huis Bergh has an extraordinary collection of medieval handwritings.